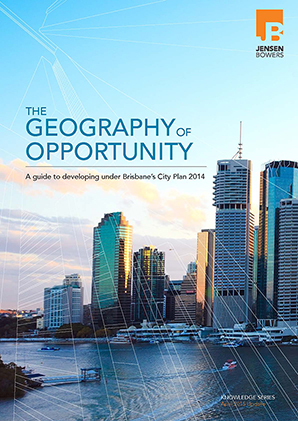 We are excited to be able to share our eBook, The Geography of Opportunity – A guide to developing under Brisbane’s City Plan 2014. The eBook shares updated knowledge and insights on where to look for the best property investment opportunities and how to utilize City Plan 2014 to achieve maximum development potential. The information is essential reading for those in the Brisbane development community who like to stay one step ahead. We call it The Geography of Opportunity. Unlock your maximum development potential with Jensen Bowers’ informed strategies and solutions.